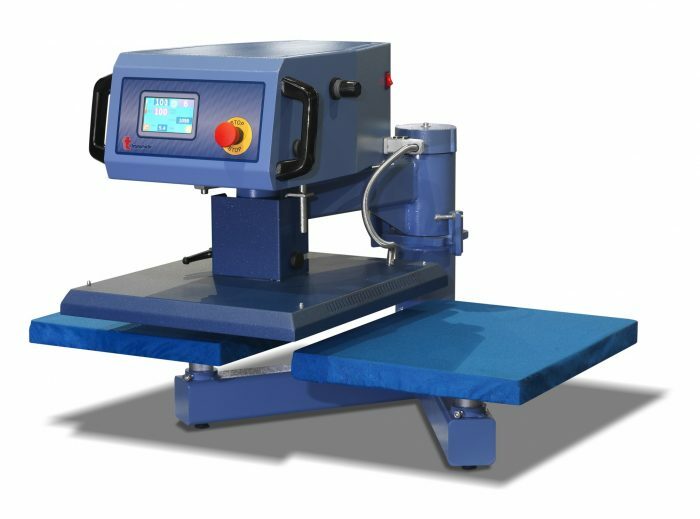 Pneumatic heat press with double heating plates and moveable heating plate. Electronic and digital touch screen with visual control of temperature,pressure and time with advice of eventual errors. Exchangeable under plate. Possibility to have the cap accessory as extra option.